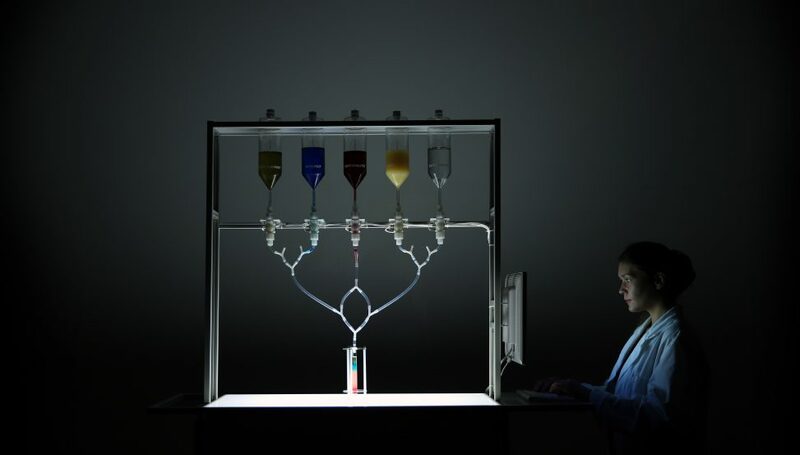 „The Social Shot” is a mobile bartending-robot that computes personality-profiles based on datasets acquired through facebook and uses them to mix individualized drinks. Following a log-in, the user receives a personalized shot which visualizes the personality traits using psychology’s “Big Five” factor model. The graphic translation of abstract datasets into a colorful, drinkable diagram allows an unusual glimpse at the value and significance of our personal data.